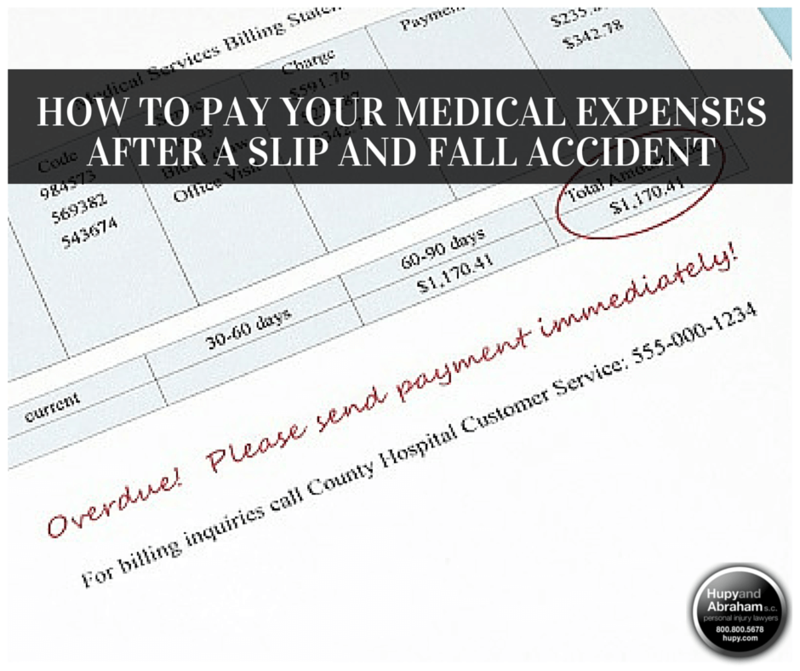 Medical Expenses Included In A Slip & Fall Recovery | Hupy and Abraham, S.C. Your focus should be on your physical recovery from your slip and fall accident, but right now your medical bills are adding up quickly. How are you going to pay your bills without facing financial ruin? Before you can recover these damages, however, you must prove that your injuries are related to the fall accident and what your injuries are worth. Proving your injury. When going up against an insurance company, your claims of injury will surely be questioned. Having proof of all your medical treatments and tests will be a solid piece of evidence to back your claim. Helping your lawyer. Your slip and fall lawyer will need every bit of information possible to build your case. When working with an attorney, be sure to turn your medical records over to him, along with all other supporting documents for the case. Setting the financial bar. There may be a number of factors that play a role in the amount you will receive in your claim. Medical costs are one of the major factors. Having documentation of what was spent on health care—hospital charges, doctor visits, prescription drugs, and other expenses—will help to set the amount your lawyer will try to recover for you. For more information about how to protect your recovery of medical expenses after a slip and fall accident, please start a live chat with us now and schedule your own free consultation with an experienced lawyer.